Robert E. Lee was one of the most respected figures of the Civil War. Admired by both friend and foe, he demonstrated his tactical brilliance on numerous occasions. Frequently outnumbered by the Union forces, he managed to confuse, confound, and frustrate the Union generals that faced him on the battlefield. Robert E. Lee: Civil War General gives you the opportunity to duplicate his accomplishments. Can you do as well? 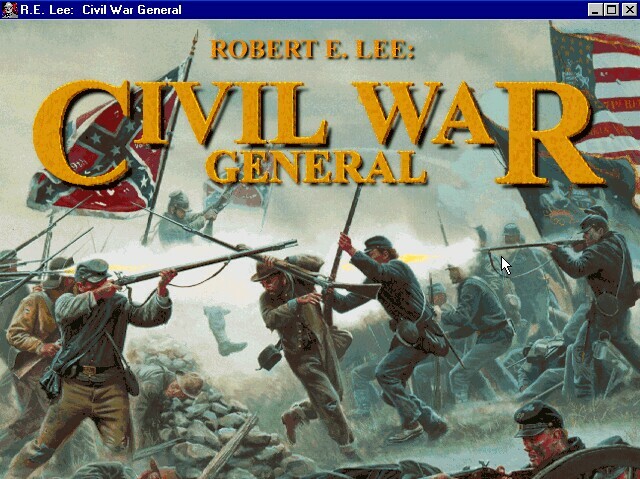 Robert E. Lee: Civil War General is one of the better Civil War strategy games released during the 90s. While it shares an uncanny resemblance to Talonsoft's Battleground: Gettysburg, it does offer a number of impressive features. 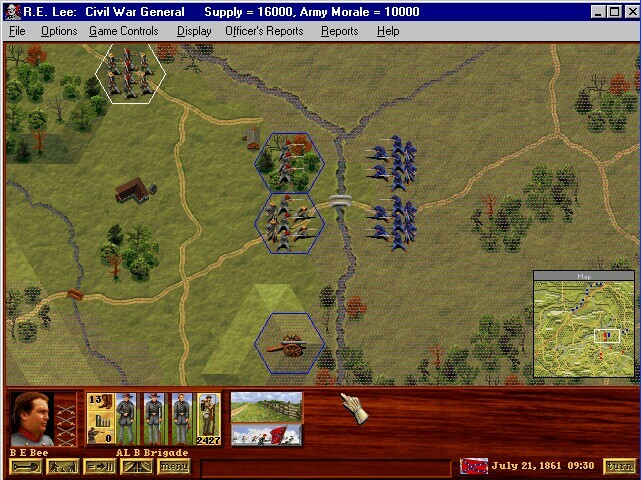 The game allows you to re-create several critical battles from Lee's career as the leader of the Army of Northern Virginia. A campaign mode strings the battles together while adding resource management to the list of challenges. For the time Civil War General is an impressive game. Small groups of infantry, cavalry, artillery, and specialists move across graphically detailed terrain. When units move into combat, you see a pall of smoke over the skirmish before the results are revealed. Video clips add an authentic feel to the action on the battlefield. In addition, the sound effects are good, but not awe-inspiring. Battle sounds include charging horses, marching troops, and firing guns. The period music does give you something to listen to as you watch your troops flee from their positions. The game itself includes a functional tutorial to get you started. You simply load the saved game, read the manual, and follow the instructions. Once you're familiar with the point-and-click-and-press interface, it's time to start the war. The game allows you to choose from three different levels of difficulty. On the hardest level, the typical “charge the guns, boys!” approach will lead to horrendous casualties among your troops. Defensive tactics are more effective, because the computer opponent will charge (and die) a few times before trying to encircle your defenses. Overall, the computer does give you a run for your money on certain battles. The campaign mode, which is only available to the Confederacy, is one of this game's premiere features. You must pay attention to which forces are good, which ones need new weapons, and which ones could benefit from a change of command. Each success (or failure) on the battlefield leads to new opportunities to overhaul your forces. If you want to take a break during gameplay, Sierra has included a history supplement to give you additional information on the conflict. 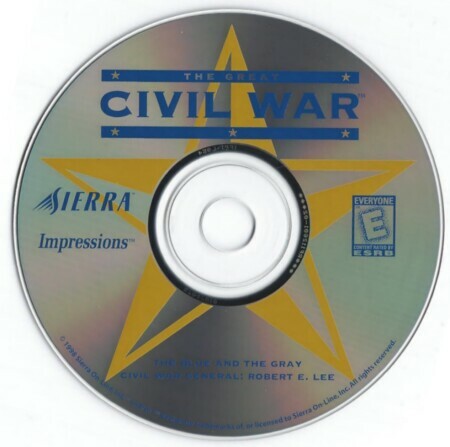 If you like Civil War games, this one deserves a place by your computer.